Food is extremely important for your pond fish. By supplying them with the right nutrients, your pond fish will be healthier, more active, live longer, be more colorful and grow faster. From pond fish food for sick and injured fish to cold water fish food, Mud Monsters offers a variety of fish foods. Each recipe is formulated to benefit pond fish at various seasons and nutrition levels. When choosing a fish food it is best to examine the protein levels and main ingredients. Better quality foods will have higher protein levels (for warm weather) and the main ingredient should be some type of protein, such as fish meal. 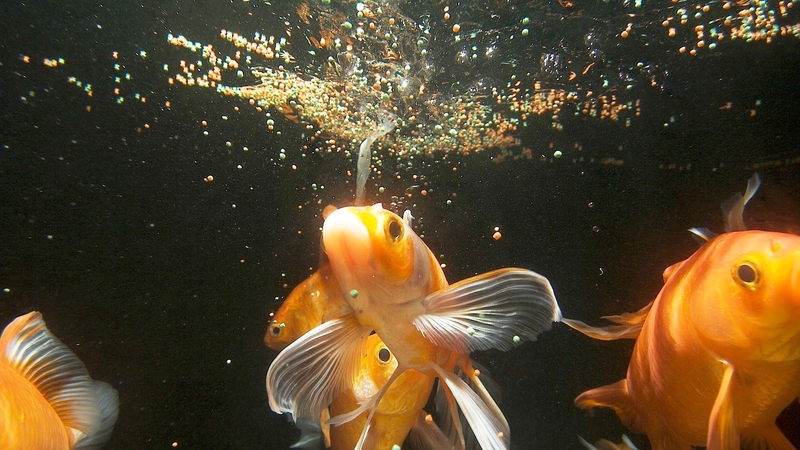 Avoid foods that the main ingredient is corn or corn meal, since corn is indigestable for koi and goldfish and will pass through the fish unused as fish waste. Staple - The perfect food for warm weather. These foods usually have higher protein levels and nutrients for summer and early fall. Color enhancing food - These foods add various supplements that give fish the reddest reds and the whitest whites. Growth food - Helps fish to acheive their maximum size in the shortest period of time. Sinking food - This type of food can help sick and inactive fish recover. Feeder Blocks and Pond Fish Feeders - these products are used to feed your fish automatically when leaving your pond unattended. Fish Treats - are small snacks which are great for having fun with your pond fish and training them to eat directly out of your hand. Cold Weather Fish Foods - Low protein fish food that fish can still digest when the water is cold.